In keeping with the spirit of the season … today and every day. The team at RMI has donated both time and money to many charitable organizations throughout the year – including, but not limited to, the Cancer Society, National Multiple Sclerosis Society and local food banks. 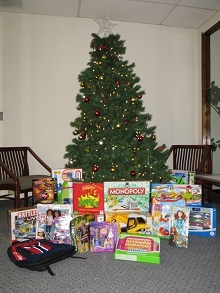 During the month of December, they held their annual toy drive to benefit the Salvation Army. As we gather the toys and prepare to drop them off, I am thankful to work with an extraordinary group that value and respect their co-workers, their customers and their communities. We wish you and your families a very healthy and happy new year.